Proen is South Australia's leading provider of specialist product design, engineering and CAD drafting resources with an impressive track record spanning more than 10 years. We assist our customers to resource their product design and engineering projects by providing consulting and contracting services. Comprehensive product development consulting services to take your product from concept to manufacture. Professional and experienced design, engineering and CAD drafting contractors for short to long term contracts. ... consulting services and contractors"
Kickstarter update: we're working on three great projects that aim to list on Kickstarter in the near future. Stay tuned for details! Merry Christmas to all our clients and contacts! Great news - the Kickstarter crowd funding platform is now accepting projects from Australia! Kickstarter represents a great opportunity for inventors and businesses alike to market test their products and secure pre-funding for design, tooling and manufacturing activities. Find out more at Kickstarter or give us a call to find out how we can help with your Kickstarter pitch. ResMed is a leading developer, manufacturer and marketer of products for the screening, treatment and long-term management of sleep-disordered breathing (SDB) and other respiratory disorders. 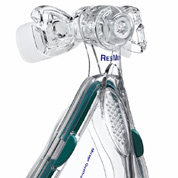 Proen was contracted by Resmed to work collaboratively with their development team in the development of aspects of the Mirage Quattro full face mask. 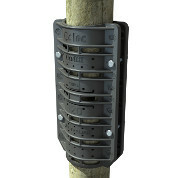 Ocloc™ is a patented repair system for vineyard posts developed for Ocvitti. The Ocloc system allows broken posts to be repaired and reused, saving money and avoiding environmental issues linked to the disposal of CCA treated pine.